Andrew appeared on Show 273, recorded in El Paso, TX, on June 1, 2013, at age 13. Andrew also performed on Show 319 in San Jose, CA, on February 13, 2016. 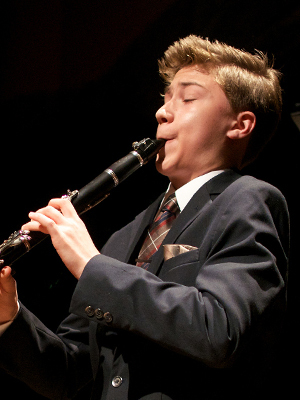 Andrew Moses (clarinet), 16, is from Culver City, California, and appeared on From the Top Show 273 in 2013 at age 13. He also received From the Top’s Jack Kent Cooke Young Artist Award. 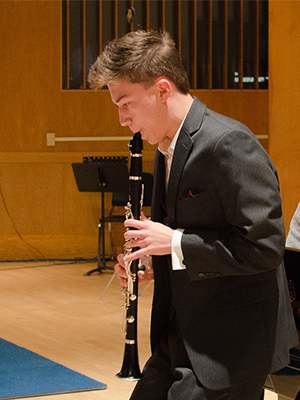 As a clarinet student of Dr. Margaret Thornhill, Andrew was winner of the 2014 Young Musicians Foundation National Debut Concerto Competition, the Torrance Symphony Orchestra Concerto Competition, and the Beverly Hills Auditions. 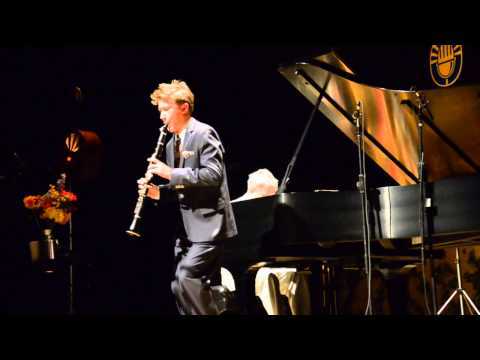 In addition, he was a top prizewinner at the Midland National Young Artist Competition and the International Clarinet Association High School Competition. Andrew has appeared as a concerto soloist with several area orchestras, having performed as concerto soloist in the Walt Disney Concert Hall at the age of 11. Outside of music, Andrew enjoys martial arts and poetry.